It was love at first sight for us in Dubai. From the moment you leave the airport, Dubai is one big wow. 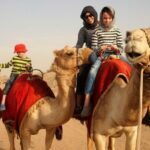 We posted about our fantastically fun camel-riding, belly-dancing, dune-jumping adventure in the desert. 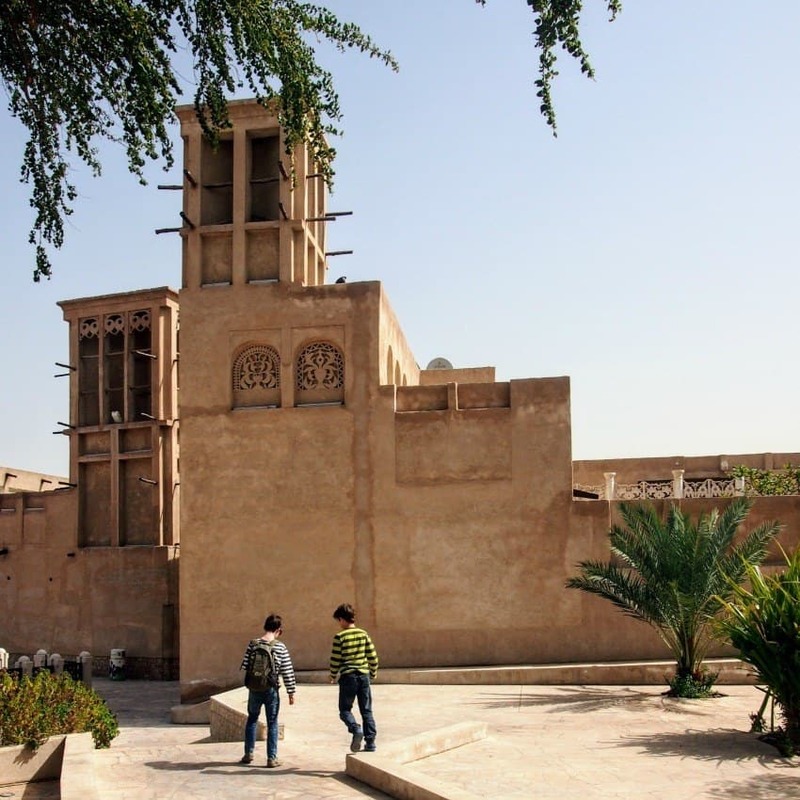 We’ve told you about the cultural heritage tour that took us beyond the glitz into the living heart of Old Dubai. I may have mentioned, more than once, what an incredible experience seeing the dancing fountains at the Burj Kalifa was. 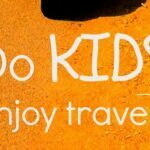 Now some tips, guides, things to do, places to stay and more on our Dubai travel round up and blog page. The problem with Dubai is, you need a month to see and do it all. We can’t say we’ve been there that long, but we’ve been there 3 times, each time as layovers en-route to Bangkok, Singapore, Mumbai, Kathmandu and beyond. Each time we’ve had a blast. Each time we’ve done the same favourite things as well as added some experiences and tours. Here’s our round up on things to do in Dubai to help you plan your Dubai trip. We will most certainly be back to sample more, including the beaches and water parks and to experience more of the great quality accommodation, food and service that make Dubai such a stand-out destination. We’ll also take more tours, there are loads to take out of Dubai into surrounding areas. This is a little tricky because much of it is personal taste. There are some hugely luxurious coastal resort hotels for holiday makers but there are also thousands of options within the different areas of the city and on The Creek. It really depends what you want to get out of your trip. For the ultimate Dubai experience, try looking at Atlantis the Palm or Burj al Arab on Jumeira Beach, you’ll need a fat wallet but it would be an experience never to forget. We tend to go for apartment style hotels for stopovers of a few days.They include kitchens and washing machines, that make our life easier and are towards the more budget-friendly end. The Golden Sands series of apartment hotels in Bur Dubai are popular and usually have swimming pools. They are away from the coast but in a central area. Consider transport options. As a family of four we generally find taxis are easier and cheaper than the Dubai metro. Dubai has two metro lines, red and green, which cover most of the tourist areas in and around the city. The red line heads south as far as Jebel Ali. Tickets are per zone. For tourists you can buy a red NOL card which allows travel on all metro, bus and tram networks. You can pre load your card with the amount of money and zones you wish to use. I don’t really recommend catching the metro as for us it has always been over crowded. On each occasion we’ve used it we’ve had to wait for several full trains to pass before we could force our way on. The ladies only carriages didn’t offer any advantage when travelling as a family. Taxis are a convenient way of getting around the city if you’re only going to a few places. For a family of 4 the cost isn’t much more than the metro. They are all metered and you won’t need to haggle. Just be cautious during peak hour when you could be stuck on one of the many large roads in gridlock traffic. Buses are common across Dubai but unless you really know where you are going then I wouldn’t worry. The NOL card will include travel on buses if you want to have a go. We were victims of a scam when we flew to Dubai. Maybe read this post on 3rd part bookings ( it opens in a new tab so you don’t lose this page) before you pay for your flight. Dubai has two airports located at opposite ends of the city. The Dubai International Airport with code DXB and the newer Al Makthoum International Airport with code DWC. Dubai International (DXB) is the main airport and is one of the worlds busiest in terms of international travellers. It has 3 terminals in total and terminals 1 and 3 (exclusively Emirates and Qantas) are connected via a walk way but terminal 2 is on the other side of the airport. Getting into Dubai from DXB is easy with multiple options from taxis, private hire transfers, buses and even the metro trains which stop at both terminal 1 and 3 or terminal 2 on a separate line. Transfers between terminals 1 & 3 and terminal 2 require a shuttle bus so allow plenty of time. DWC is located some 50 km south of the old town and isn’t as well connected to transport links. The easiest option when arriving is to catch a taxi directly to your hotel. This is more expensive than taxis from DXB. Not many airlines use the new airport and the chances of flying in here aren’t high. If you need to connect between DWC and DXB then you can catch the metro line as far south as Ibn Battuta and then the dedicated bus directly to the airport. Obviously it is the same in reverse. Please double all of this information for yourself, we do our best to stay current, but can’t guarantee this. I wouldn’t recommend this if you have large amounts of luggage. The other option is taxi which will be expensive and take a long time. Allow plenty of time as traffic in Dubai can often be at a stand-still depending on the time of day. 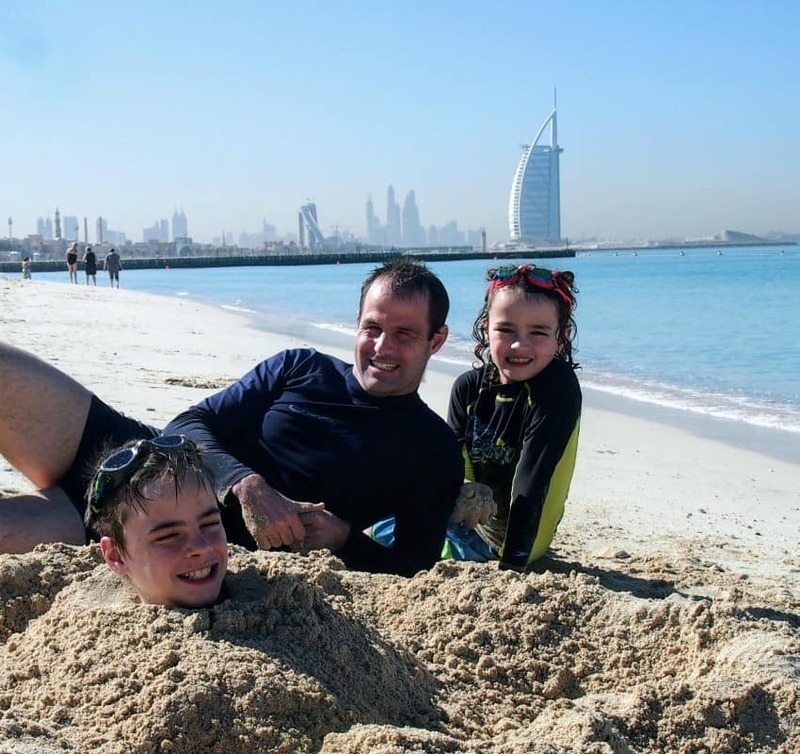 There are some superb things to do in Dubai with kids, for fun and for educational value. 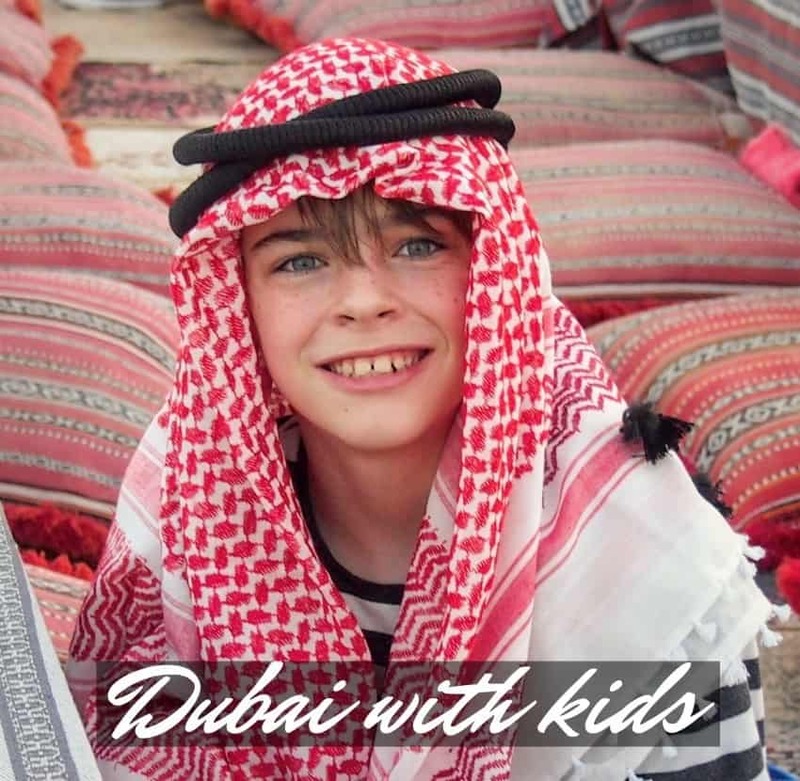 Dubai is absolutely, without doubt one of the best and easiest places in the world to take kids. There are hundreds of ultra fun, family and kid friendly things to do in Dubai. My children love the camel safari we mentioned above, but there’s also the mall, beaches, pools and theme parks. Just some of the attractions for kids in Dubai are below. Our full post on Dubai with kids is coming soon. The beaches are very clean and the water calm. Water temperature isn’t as warm as you’d think but not as cold as the Mediterranean. The beaches have shops and restaurants backing them but there is little shade making it very hot and exposed in the middle of the day. If you’re not staying on the beach, getting there will require a taxi or buses as the metro is a few blocks back. Old Dubai and the history and culture of this small coastal town are still there, if you know where to look. It’s not just about gleaming sky scrapers. 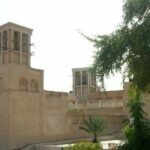 Down by The Creek you can find the Al Fahidi Historical District where wind towers ( see them above) coral block houses and well restored traditional Arabian doorways give you a glimpse into yesterday. The area is relatively small but is none the less fascinating. Take a tour as we did, before wandering down to The Creek, visiting the souks and Dubai Fort. Again these Souks are small compared to those you see in Istanbul or Egypt, but none the less, you should go. Identify spices as you stroll the alleyways and be stunned by just how much gold it’s possible to wear. Just be very, very wary of buying. Some of the biggest rip offs we’ve ever seen are here. ALWAYS ask the price first, even for camel milk ice cream. Cross The Creek by boat from Old Dubai to get here. You must take a look at Dubai Creek, take a feery ride between the souks and markets on either side. Dubai creek divides Dubai into two areas, Deira and Bur Dubai. It was the main port and entry to Dubai for many years and it wasn’t until 1963 that the first bridge was built over it. You can still take boats across the creek but they are mainly for tourists and a few people commuting between the two areas. 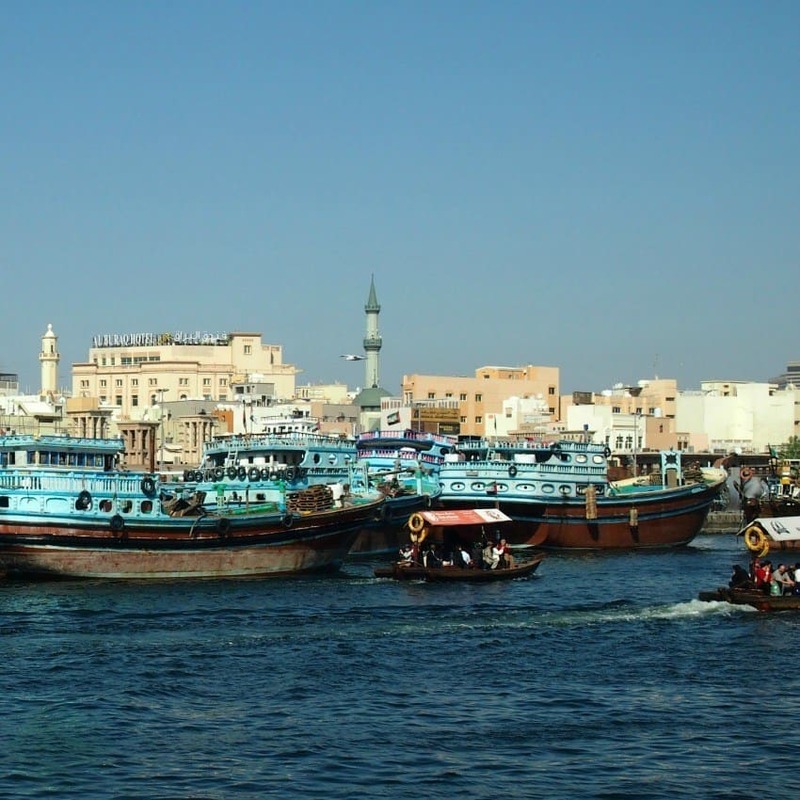 A boat ride costs very little and is a nice thing to do when visiting the souks and Old Dubai. These attractions are on either side of The Creek. My husband is a chef, we have to go to every fish, fruit and veg market on the planet. The old Deira Dubai fish market which had been around for decades finally shut its doors as the new Waterfront market opened. The old market was a great place to visit but it was tired and was long over due for an upgrade. Being so busy the vendors had taken to selling their wares in the parking lot out the front. Like most things in Dubai it wasn’t updated but replaced with a brand new purpose built market. 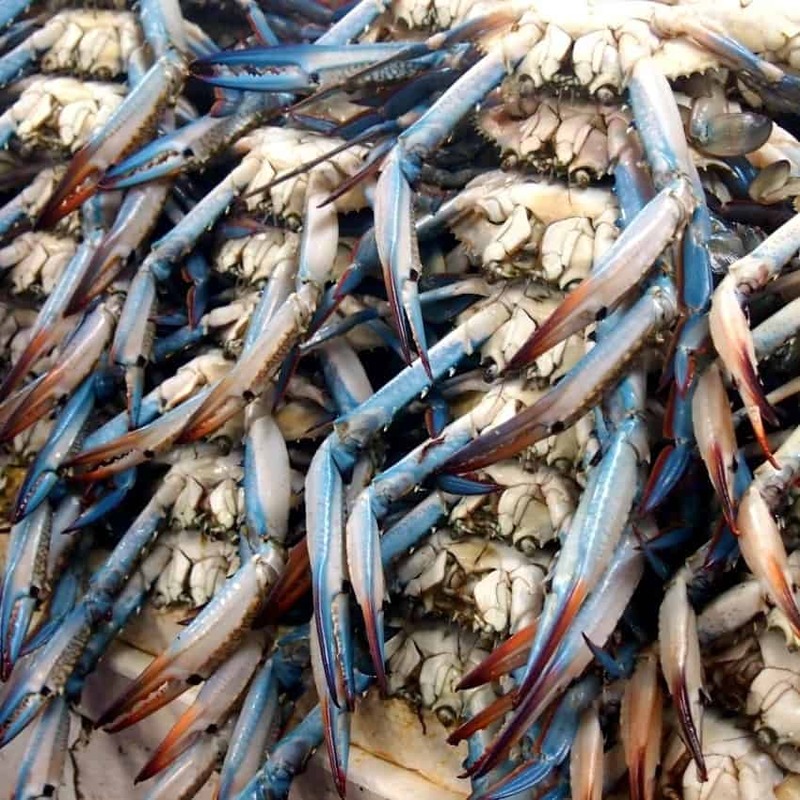 Located near Hamriya Port, the Waterfront Market offers fresh fish, meat, fruits and vegetables. It has everything any modern market would have with coffee shops and restaurants opening as development progresses. It isn’t on the metro line so I’d suggest a taxi and get there early to see the day’s catch. 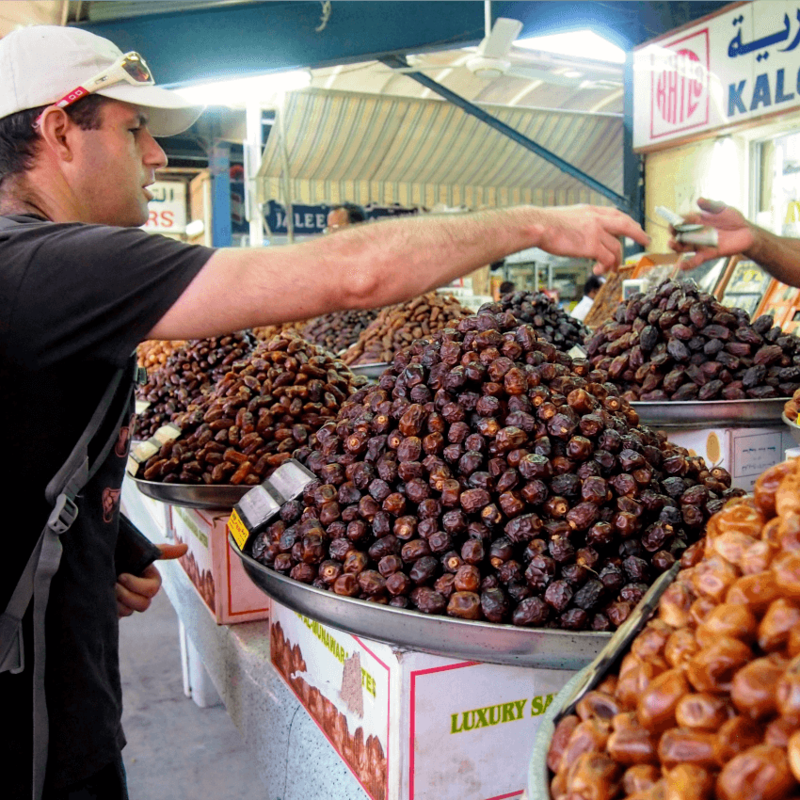 Buying dates by the kilo at the market. Try before you buy. Part of the old Deira Market, the fruit and vegetable market will also be moving to the new Waterfront Market further north. It will take a while to get it up and running properly and make sure that all the shops have tennants but when it is finished it will be great to see. It’s all happening at the Dubai Mall. You don’t just come here to shop, visiting this mall is an experience in itself. The shopping is good too, of course, from Gap to Gucci . The largest mall in the world by area is how this mall is often described and you could easily lose days here. Dubai aquarium is on the ground floor and the Burj Khalifa outside where you’ll be able to see the water fountain display every evening. Getting to and from the mall is easy with either the crowded metro (don’t try and catch it during peak hour) or the taxi ranks located at designated areas on the lower ground floor. During peak hour it can often be up to an hour wait to catch a taxi but the designated waiting areas are well manned and all taxis are official and on meters. 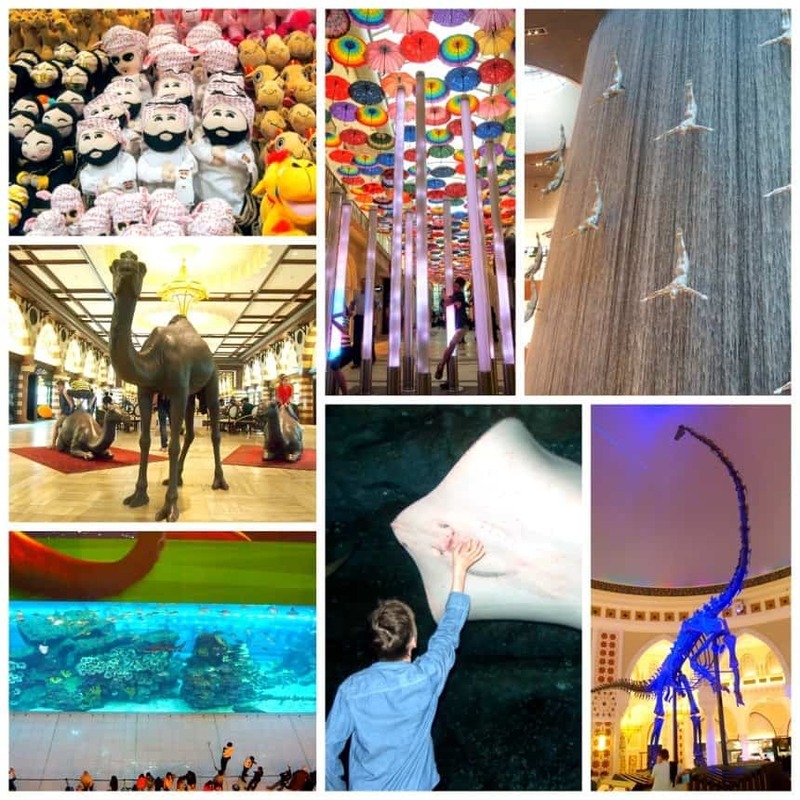 You’ll notice that many of the attractions listed above under Dubai with Kids are in the mall. Add to these one of the biggest candy stores we’ve ever seen ( it’s opposite the huge viewing tank of the aquarium) and you have kid paradise. We’ve always found it hard to book tours in Dubai, the only local option seems to be to book via your hotel. Of course they have an agenda and will point you towards the tours that pay them best. We first discovered GetYourGuide in Dubai when we booked our Desert Safari and have been using them ever since. They have a lowest price guarantee and come with the peace of mind that a big company gives you. We use them, we trust them. There are dozens of tours, from sight seeing, to dinners to major adventures and thrills that only Dubai can provide. Check out the top Dubai tours and attractions here. Abu Dhabi is the capitol of the United Arab Emirates and multiple tours are available from Dubai. These are very popular and well worth doing. The Burj Khalifa is magnificent at 829.8 m tall. Catch the fountain, music and light show at the base of the Burj Khalifa. It’s very special and happens every day. The tallest building in the world it stands at 829.8 metres in downtown Dubai. It is so high that people living above the 80th floor should wait 2 minutes and people above 150 should wait 3 minutes before eating during Ramadan as the setting sun can still be seen from these floors. The building is mixed usage, with apartments, restaurants, offices and viewing areas. It has won many awards for its architecture. It also holds numerous records for base jumping both official and unofficial. Each night it hosts a water fountain display which is located just outside of the Dubai Mall at the base of the Burj. At the end of the display is when taxi ranks at the mall will be very full. It can easily take an hour to get into a taxi. 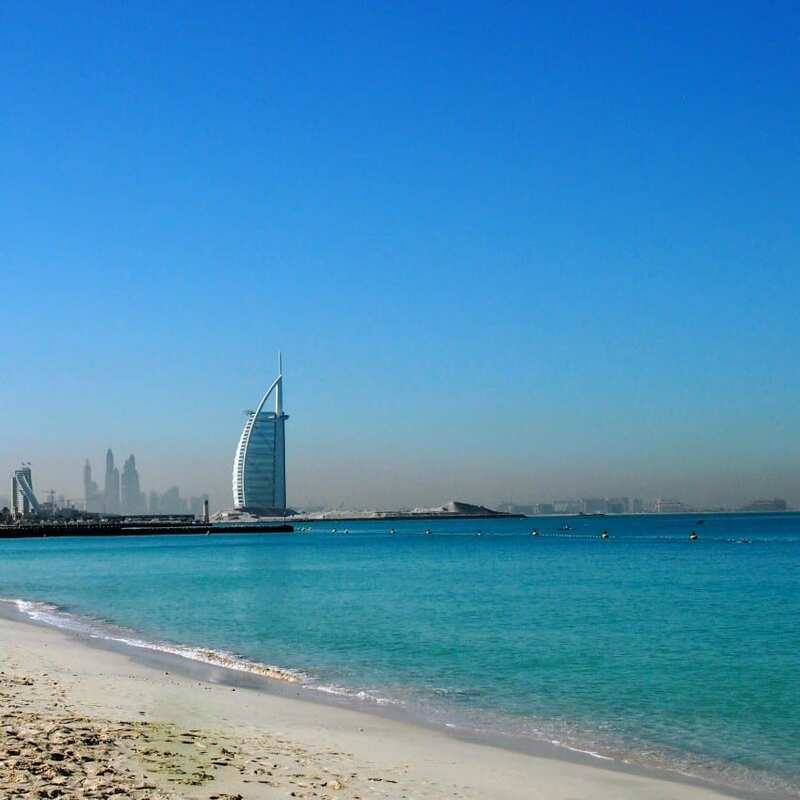 The best view of the Burj Al Arab from Jumeirah Beach. There is a running track and walkway right behind the beach and you can walk along to the Burj. The beautiful Burj Al Arab on Jumeirah Beach is said to be the most luxurious hotel in the world. It’s certainly a stunning building and a trip to the beach will give you great views. If you’d like to stay, check it out. I know I would. 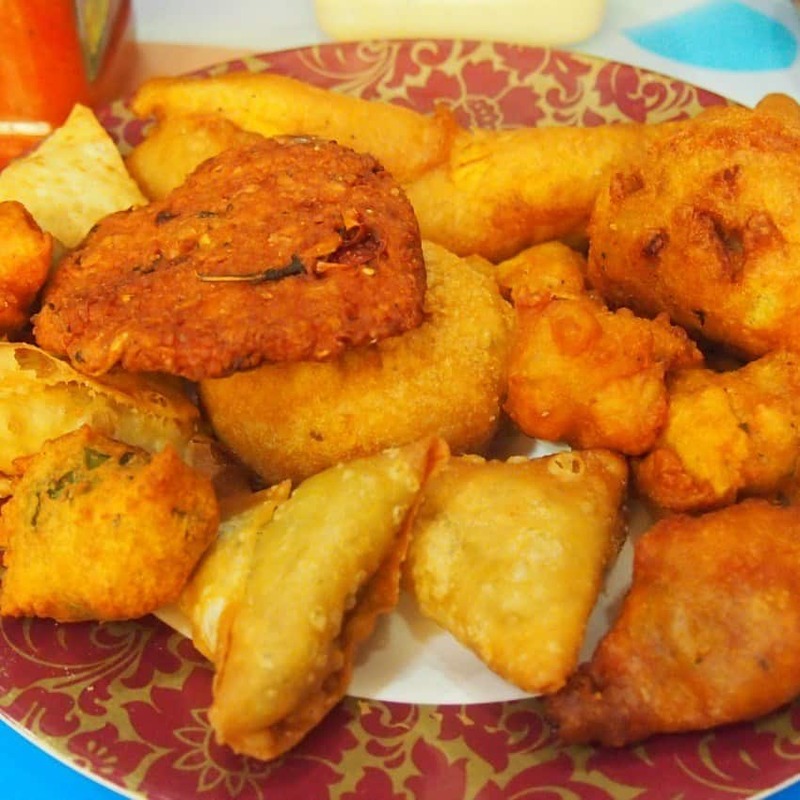 A plate of snacks that we grabbed in the souk. More Indian than Emirati, but good. Also possibly the cheapest thing we ate in Dubai. 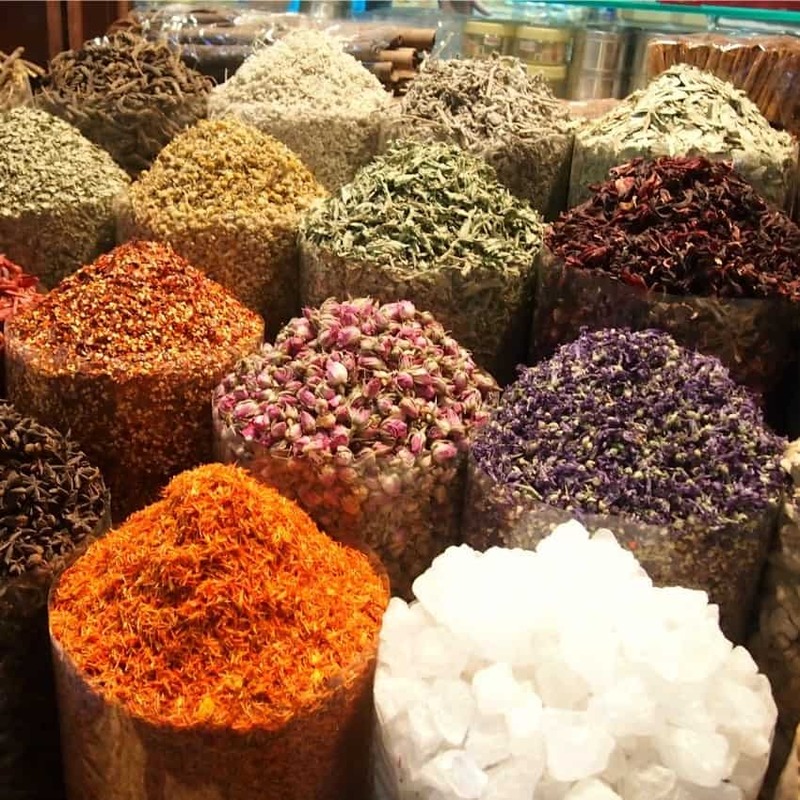 For traditional Emirati food try the Old Dubai tour and lunch we mention in this post. Obviously, you can get anything you’d like in Dubai, it’s a big modern city. 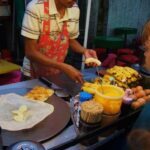 The most authentic local food we found was probably on our cultural tour and Emirati lunch and the street snacks we bought in the souk near Old Dubai ( pictured above). We tend to self cater a lot in Dubai, not my favourite thing, but good cheap eats are thin on the ground. Look out for the supermarket chain, Spinneys, there seems to be one every few paces. Surprisingly, there are no hard and fast restrictive dress rules around Dubai. You’ll see women fully covered through personal choice while others wear swimsuits at the beach and around pools. However, if you’re heading to the mall, a restaurant, market or really, any public place. Show some respect. Certain items are not allowed, very short short and skirts, crop tops, strappy tops and so on. Cover up from shoulders to knees and all should be well. Men should also show similar respect. The locals always seemed dressed to the nines and you’ll be amazed by the well groomed, fragrant, dazzlingly white robed men and their immaculately made up partners. Even if you can only see eyes, those eyes will be faultless and captivating. Can You Drink the Tap Water in Dubai ? Nearly all the drinking water in Dubai comes from desalination. The government states that it is safe to drink when it leaves the processing plants. 80% of locals don’t drink the water blaming bad taste and the pipes that carry the it. We’re happy brushing our teeth with tap water but wouldn’t be drinking glasses of it. There’s very little that you’d need to pack for Dubai that you can’t buy there. Dubai culture revolves around shopping, they’ll have what you need. You’ll be in a city, so the sort of travel gadgets we normally recommend are redundant. Theft isn’t a big worry but think about anti theft bags and devices particularly for the souks. Dubai is one of the places that we visit to stock up on things like good quality jeans and underwear, so don’t over-pack. That’s it for now. We’re heading to Dubai again this autumn so this post will be updated yet again and more content added. It was a pleasure creating this Dubai travel blog and guide to help you plan your trip to Dubai and UAE. This was a complete article on Dubai. Thanks for sharing this amazing knowledge. Keep up the good work, Cheers!!! The best time to explore Dubai is in Winter time. Dubai is known for its luxury homes, this guide is more than that. thank you for sharing your experience. Very comprehensive blog post on Dubai tour. It is beneficial for all the visitors who are going to Dubai. Thanks for sharing this with us! Thanks for sharing your knowledge about Dubai. It’s very helpful for me when I visit in Dubai as a traveler or I am also happy to read your travel blog because I also love traveling. We provide links to GetYourGuide tours on this page. Scroll back up and have a look, we use them a lot and can certainly recommend the desert safaris we mention above, we also tried an speed boat tour recently. They are our preferred company. Yes. We took the on off bus. It has three different guided tours, each a different color. We did all 3 in one day. Reasonably priced, Feel like we saw all highlights of Dubai. Very easy to get a taxi or hop on the Metro also. But beware bad traffic and packed trains. It’s not a place you can walk much other than down around The Creek, Old Dubai and the Souks, with the little fery boats to cross. Desert Safari Dubai is an amazing trip that will give you a unique experience. The undulating sands are not only an attraction, but they are an adventure that you should not miss. The sand will beckon you with the shine and mystery that is has hidden in it. The desert is one of natures amazing gifts to mankind that you should go on a Desert Safari to fall in love with the sand dunes. Nice and simple guide for people planning to visit Dubai! I saw the city while watching live cricket match in Dubai. The city is very beautiful! I would love to go there! Hi. I just came across your blog and wanted to know if there’s any place in Dubai where tourists can go horseriding? I’m sure there are although I’ve never done it. Use the links above to the other tours and search through what’s listed there. Have fun ! We will be there in Dubai from 31/10/2018 to 14/11/2018. With my three kids,wife and mother.we are looking for deals at popular destinations.any suggestions? Just spent 2 days in Dubai. The airport and process,of entering are seamlessly organized. Everyone very helpful, We chose,the Big Bus, on and off for tours of the city, marina and beach. Well worth the beautiful sites and stories of Dubai. We also visited Dubai Mall and saw the beautiful fountain light display. 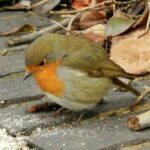 Can you help plan a tour? We are planning to save on the accommodation by buying some apartments but can’t find any reasonable options. Hello! We will go to Dubai on Dec. 23 to 30, any suggestion for our itinerary? Any any suggested hotel which is cheap, comfy and near to mall and metro. Thanks in advance. I’ll get back to you ASAP Loren. Been up Everest! My husband and I are headed to Dubai in October as part of our round the world adventure. There seems to be conflicted information about brining in prescription medications, I am prescribed meds for anxiety and sleep. Have you heard problems arising at customs? We plan to have original bottles, prescriptions and letter from doctor. Any feedback would be helpful. Thank you. Hi Jude. We don’t have prescription drugs so no first hand experience, but yes, it DOES happen. Keep all drugs in their original containers and have your doctor’s notification, but also check which drugs and medications are illegal or banned in Dubai. It’s not just Dubai, certain drugs, legal in your own country, can get you into deep trouble in others, even if prescribed. I’m sorry I can’t be much more help than that. Thank you for the insights! I am heading to Dubai this autumn and look forward to exploring this amazing city. Have a great time Claudette!